Here we provide career offer from Shaikh Zayed Hospital Lahore Jobs 2019 Career Opportunities Latest. Jobs in Shaikh Zayed Medical Complex, Lahore available and it is looking to recruit following positions on 15% Women quota, 5% Minorities quota and 3% disable person quota on regular basis. 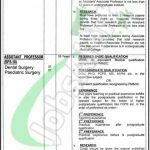 The following vacant posts which are named as (Professor (BPS-20) Gynae & Obst (Critical Care Medicine) and Assistant Professor (BPS-18) Dental Surgery Paediatric Surgery) are the current vacancies which need to to be filled as soon as possible. The overall qualification of MBBS/D.Sc/PhD/FCPS/MS/MPhil with relevant expertise are required to hold these posts. Age limit should be 35-50 years is there for all posts. So, interested candidates come forward and apply before its due deadline and get employed. Now, let's tap towards it's how to apply procedure in the next heading. Shaikh Zayed Hospital is the well known and famous tertiary care hospital lying in Lahore city and is having the attachment with a teaching hospital such as Shaikh Khalifa Bin Zayed Al Nahyan Medical College which provide medical teaching and practical expertise are also taught here. Being a Govt institute it offers Govt jobs of different level. The application forms are available from the office of Accounts Section, Sheikh Zayed (Federal) Postgraduate Medical Institute, Lahore. Complete applications along with detailed Resume / CV, attested copies of educational certificate, experience certificate, CNIC, domicile and recent photographs should reach the following address given below. The last date for submission of application is January 10, 2019. Persons already in Government Service should route their application through their Departmental Heads as applicable with clearance from the parent department. Application received before advertisement will not be considered. A separate complete application is necessary for each post applied & the previous advertisement to be treated as canceled. Date and place of interview will be communicated in the interview call after shortlisting. 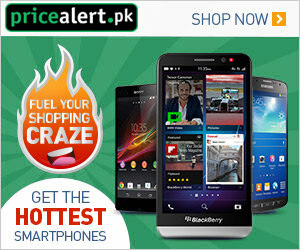 Stay in touch with us and keep visiting our site JobsAlert.pk for more jobs. Last Date to Apply: January 10, 2019. Address: Office of the Deputy Dean, Federal Postgraduate Medical Institute, Lahore.